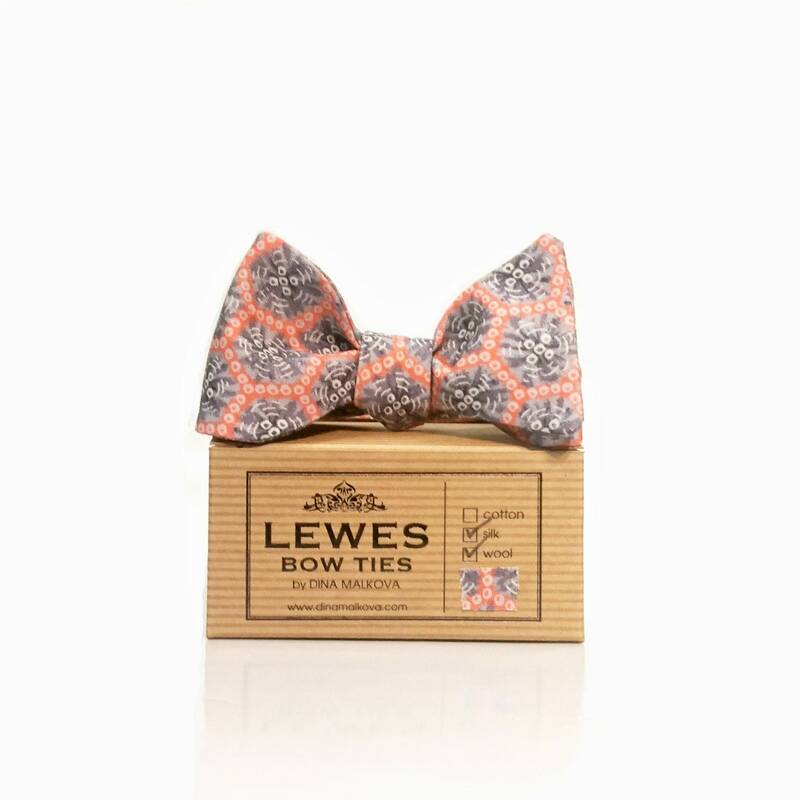 Peach and grey self tie bow tie is made from vintage Japanese silk and wool fabric. Beautiful spots all over. 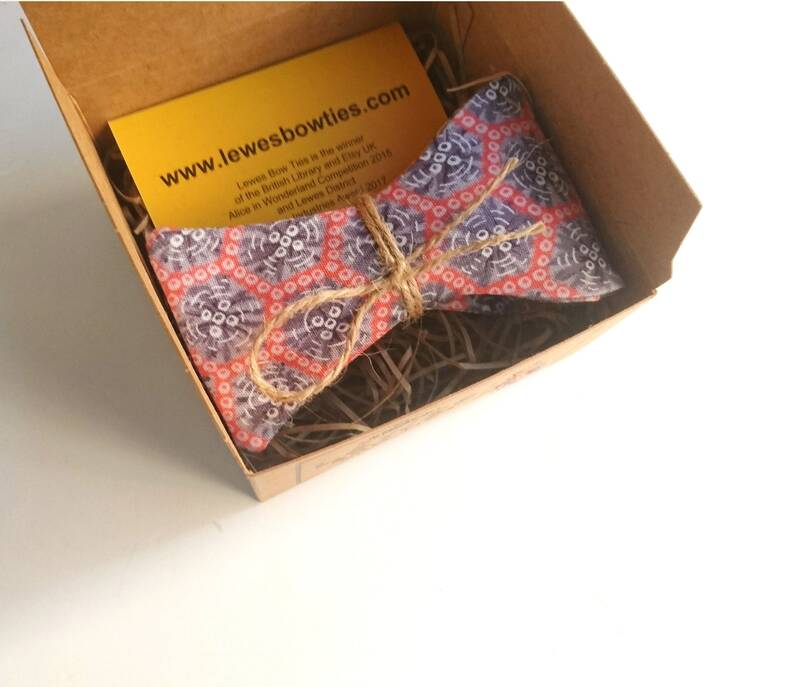 This bow tie will be perfect with any outfit, pure timeless piece.